Throughout the United States there are thousands of parks in which can be found bronze and marble statues of the major historical figures of times past. Taken from a mostly European sensibility, these monuments are testaments to their subjects and to the times in which they were sculpted. Among the greatest American sculptors and monument builders of the late nineteenth and early twentieth centuries was Augustus Saint-Gaudens. Augustus Saint-Gaudens was born in Dublin, Ireland in 1848. The son of a shoemaker, Saint-Gaudens moved with his family to New York before he was one. Growing up in the city, he became interested in art, and after turning thirteen he left school to apprentice with a cameo cutter. While an apprentice, Saint-Gaudens took classes at Cooper Union and the National Academy of Design. When he was nineteen he moved to Europe, where he continued his studies in both Paris and Rome. 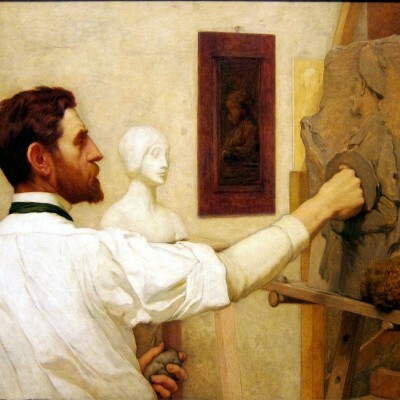 Studying classical art and architecture, Saint-Gaudens began to work as a professional sculptor. Returning to America, Saint-Gaudens received his first major commission in New York City. Still considered one of his important works, “Admiral Farragut” (1881) stands in New York’s Madison Square Park. Combining the technical proficiency learned in Europe with a free and flowing hand, Saint-Gaudens created bronze statues that represented the complexity and grandeur of the American heroes he portrayed. Saint-Gaudens was a master of the human form, perfectly representing the physical while bringing to life the personality of his subjects. By the late 1880s and 1890s, Saint-Gaudens had produced some of his greatest work including a copper statue of Diana and the first of his bronze monuments to President Abraham Lincoln. He had also become part of a group of rising artists and architects including H.H. Richardson, Stanford White, Charles McKim and John La Farge. Working with the McKim, Mead, and White architectural firm he produced a significant body of monuments and decorative sculpture. Throughout his career, he would continue to work closely with architects, creating most of his work specifically for the sites. Throughout the 1890s Saint-Gaudens continued to work while engaging in the greater art world through teaching and advocacy. Often taking on many private students at once, Saint-Gaudens also taught at the Art Students League of New York, and worked in support of the American Academy in Rome. During these busy times, however, Saint-Gaudens continued to work diligently on a number of projects, many of which took him upwards of ten years or more to complete. His bronze statue of General Sherman led by Victory, which stands at the entrance to New York’s Central Park took eleven years. Probably the most famous of this time however, was the sculpture of a bent and draped figure deep in thought and grief in the Rock Creek Cemetery in Washington D.C. This sculpture uniquely brings together the monumental and the personal for which Saint-Gaudens’ work has become known. 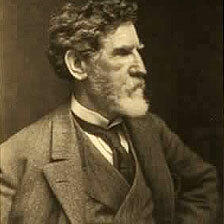 By 1900, Saint-Gaudens moved to his summer home in Cornish, New Hampshire. Joined by other artists including Maxfield Parrish, Thomas Dewing, and his brother, the sculptor Louis, Saint-Gaudens created a community of artists there that supported and inspired him throughout his final years. On August 3, 1907, Saint-Gaudens died. Today, nearly one hundred years later, the technical grace and subtle beauty of his work remains an inspiration to artists everywhere.